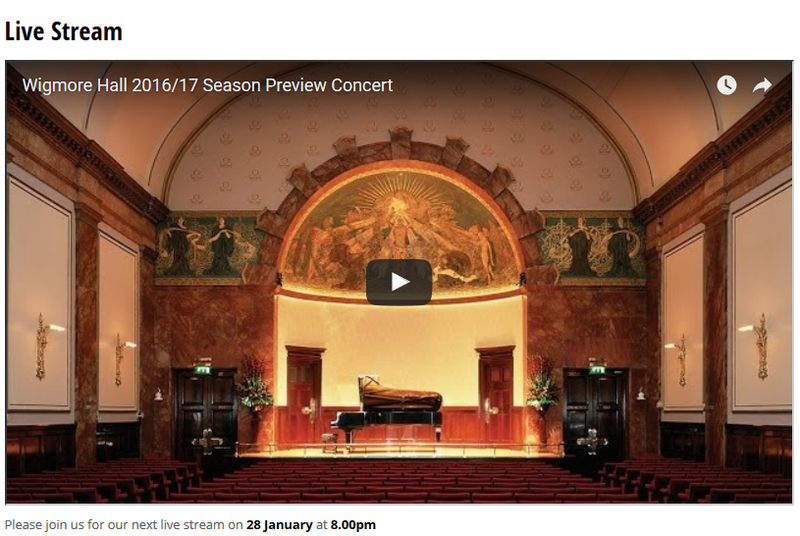 On Thursday 28 January 2016, the Wigmore Hall will be presenting its first live-streamed event. 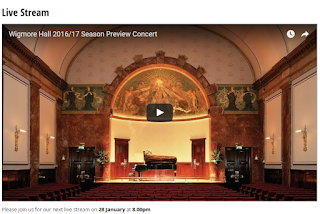 With the hall now getting almost double the audiences that it was doing a decade ago (200,000 in 2015/16 as compared to 120,000 ten years ago), the move to live streaming is another way for the hall to expand its audience without compromising the qualities which make live performances at the Wigmore Hall so special. Thursday's event is the 2016/17 season launch and will feature Berlin's Armida Quartet, soprano Anna Lucia Richter with pianist Michael Gees, and baritone Andre Schuen with pianist Daniel Heide. Future plans for live streaming from the Wigmore Hall include the Irish Culture in Britain: A Centenary Celebration Gala Concert on Thursday 21 April 2016 at 7.30pm. Full information from and free worldwide access to the streaming from the Wigmore Hall website.